St. Elizabeth's Hospital issued the following announcement on April 9. 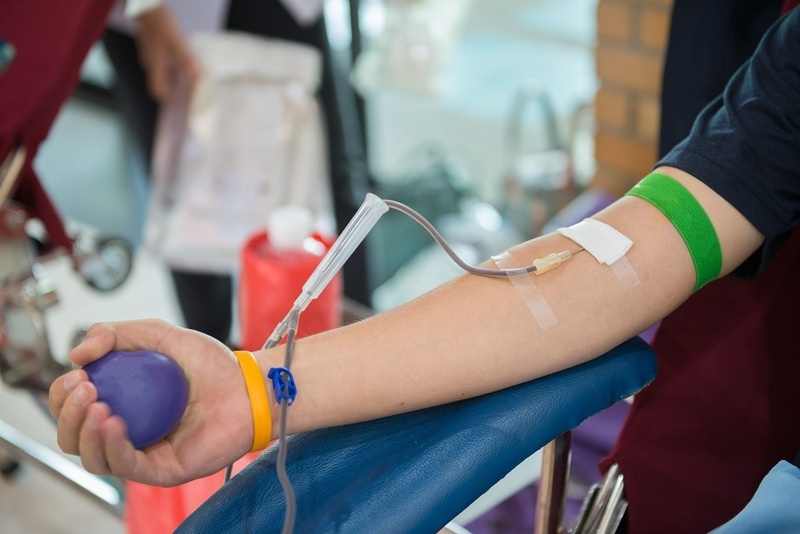 HSHS St. Elizabeth’s Hospital, in conjunction with Mississippi Valley Regional Blood Center (MVRBC), is hosting a blood drive Tuesday, April 23, from 11:30 a.m. – 3:30 p.m. The drive will take place on the MVRBC Mobile Donor Bus, which will be parked in the hospital’s parking lot at 1 St. Elizabeth’s Blvd., O’Fallon, Illinois. All presenting donors will receive a voucher for a tie-dye “Changing the world one pint at a time” T-shirt or a black/charcoal MVRBC logo hat. To schedule a donation time call MVRBC at 866-GIVE-BLD (866-448-3253) or log on to www.bloodcenterimpact.org and use Sponsor Code: 10155. Walk-ins are welcome, but appointments are suggested. A photo ID is required to participate, and it is encouraged that all donors get a good night’s sleep, eat a sustaining meal and hydrate well before donating. patients who have experienced an emergency, such as a car accident or burn. To help these patients, a blood donor can give every eight weeks, or up to six times a year. All persons age 17 and up (or 16 with a signed parental permission form) who weigh at least 110 lbs. and are in general good health meet the basic eligibility requirements for blood donation. A full list of donor eligibility guidelines may be found at http://www.bloodcenter.org/donate-blood/donating-blood/donor-eligibility.aspx.